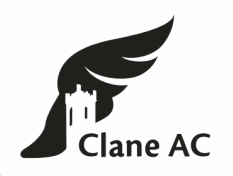 Welcome to the Clane Athletic Club website! Located in the historic village of Clane, Co.Kildare, our club is one of Ireland’s newest athletic clubs. The club, which is completely volunteer-led, was reformed in 2012 with the principal aim of promoting athletics, for all ages, in the village and environs of Clane. Our coaches and athletes have worked hard over the past 6 years to build the club into a strong, reputable club. Our most exciting news we received in the Summmer of 2018 is that we have been successful in acquiring the start up funding needed to build our very own 200m running track, sprint track and field events area for jumps & throws, in the grounds of Scoil Mhuire secondary school. Work has started and we hope the new facility will be ready in May 2019. A great addition for the whole community of Clane. Our club is proud to be affiliated to the Irish governing body for athletics; the Athletics Association of Ireland. We place a strong emphasis on community, and encourage the development of athletic skills, in a fun, friendly and sociable environment. We're based at Scoil Mhuire, Clane Community School. Check out our 'Training times' for information on both the juvenile and adult clubs training times. Due to the clubs popularity, sometimes Clane AC have to operate a waiting list for new members. Our team of coaches are constantly reviewing the age groups and coach allocation to see if we have more space available. 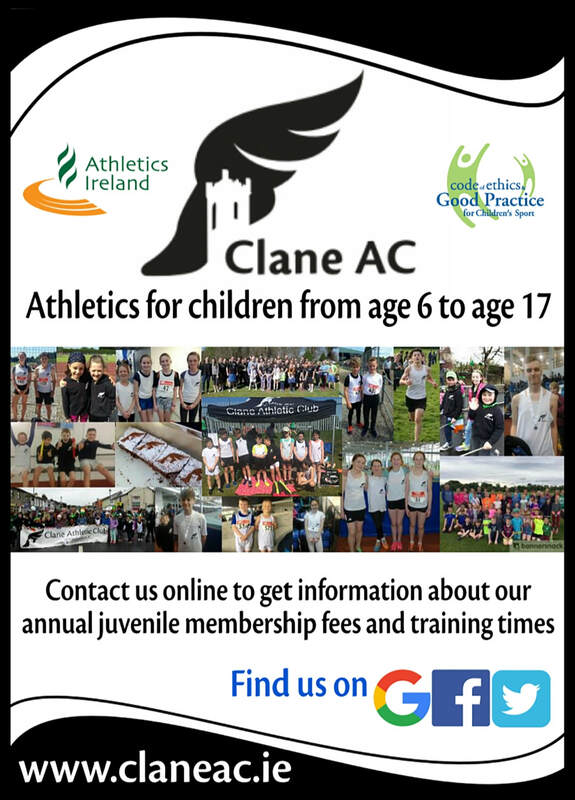 ​Clane AC is a volunteer based club. We are always looking for and welcome more coaching volunteers. ​Having more volunteer coaches means the club can open up spaces to allow more children to train. Please contact us if you are a parent of a child on the waiting list, and think you might like to help out by assisting our existing coaches? Full mentorship by the club will be provided and new coaches will be sent on A.A.I certified coaching courses and first aid safety classes also paid for by the club. (This is process is arranged and overseen by Clane AC's Child welfare officers). ​These younger members are introduced to athletics through the “Little Athletics” / “Junior Athletics” programmes, where they learn the basics of Agility, Balance and Coordination and progress to learning the skills and techniques involved in the core athletic disciplines of running, jumping, throwing and walking. Get involved in our Adult running groups - they are meet & train sessions, where all fitness levels are catered for from Couch to 5km beginners running training right up to marathon level running. See the Clane AC Adult Running club section of this website for further information.